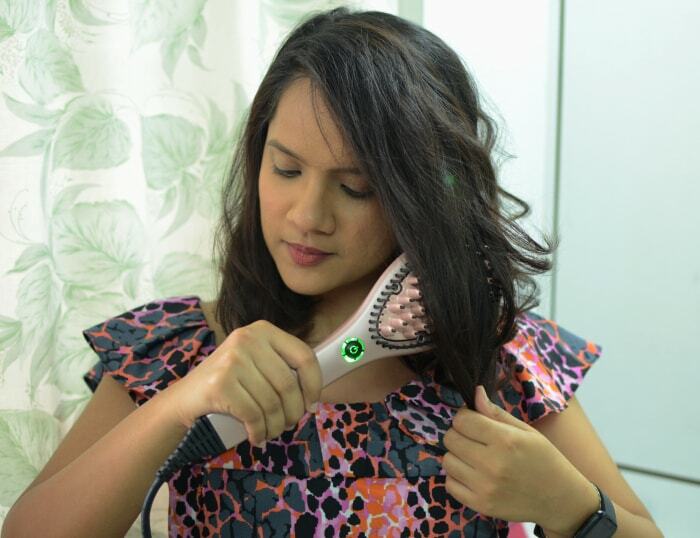 Chances are, you've come across Dafni's hair straightening brush somewhere on social media. 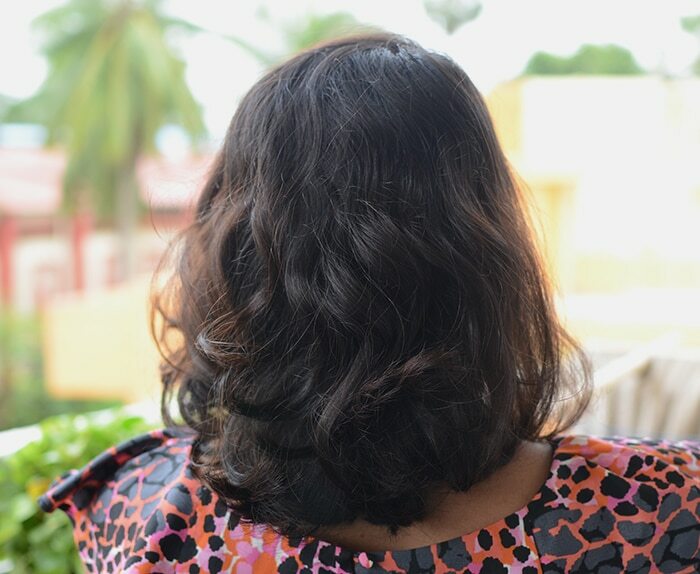 After entering the Indian market a few years ago, the hair brand went viral with some pretty incredible before and after hair transformations. Heated hair brushes may be available by a dime a dozen but the original Dafni is still a prime pick. 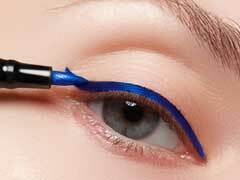 As with most beauty products that reach the peak of social media visibility, it begged the question - how well does it really work? 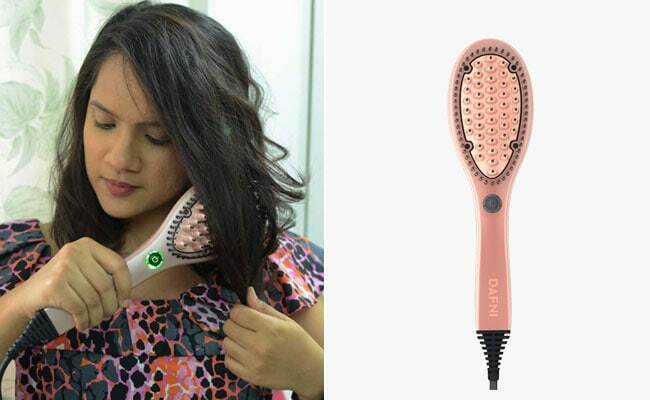 To answer that, I put Dafni's revolutionary hair straightening brush, now available in rose gold, to the test. Before we dive in, here's a brief description of the brush from the brand. Dafni's rose gold brush promises quicker results than a flatiron as more volume of hair is straightened. It also maintains a constant safe hair temperature, is portable, can be used wet or dry and is cost-effective compared to a salon. Dafni's Limited Edition Rose Gold Brush is available for INR 15,999 at Tressmart. Being a hair brush in essence, Dafni's tool is meant to be used the same way you'd ordinarily brush your hair. On trying it like that, I found that too large a section of hair gets picked without a smooth finish and the brush got too close to my ears. So I continued by sectioning each layer and brushing faced upwards. 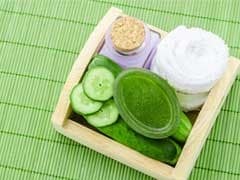 Although it's mentioned that it can be used on wet hair, I'd avoid it as damp sections sizzled when I did so. I was amazed at how quick the results could be seen. 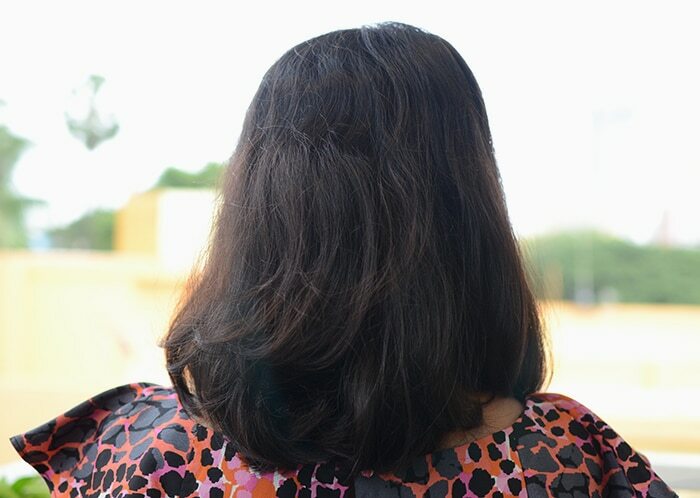 My mid-length hair is thick with loose waves and a bit of frizz. For the most genuine results, I tried it without any additional products. Just a single stroke down the hair section showed immediate straightness. Don't hold it too long in one place or your hair will get overheated. My entire hair took around 10 minutes to straighten, a sizeable amount of time less compared to when I use a flatiron. Dafni's hair brush promises to leave hair straightened rather than flattened, with the volume left intact. It lives up to this claim, but might also be my only grouse with it. The brush gives the hair smoothness and bounce but lacks the pressure of a flatiron which leads to low longevity and shine. Certain stubborn sections had to be re-brushed multiple times for barely-there straightness. I also found that the straightened results began to frizz and unravel within a couple of hours. 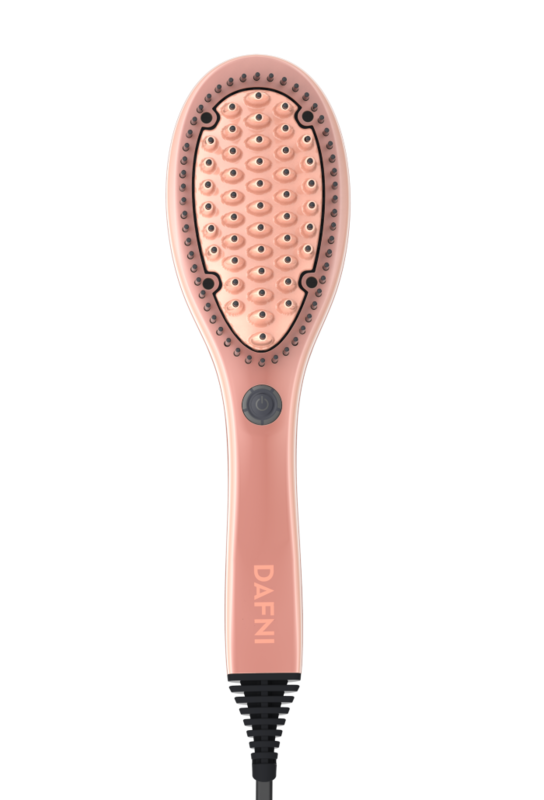 Dafni's rose gold hair brush gives almost instant results with simple usability. If straight hair is your hairstyle of choice on a regular basis, it could cut down on frequent salon costs and time spent straightening. If it's the sleek, poker-straight finish that you prefer, a flatiron will work just fine.